Today Traders should be careful at the time of FED chair yellen and Ecb president Mario Draghi speech. There may be a chance of big bullish or bearish waves in forex market let me discuss about Eur-usd which is long term bullish but yellen words may change its direction. There is a good opportunity to buy Eur-usd around 1.1750 area with stop loss at 1.1650 and take profit at 1.1850 then 1.1940 any down wave will provide a great opportunity to open your buy trade. 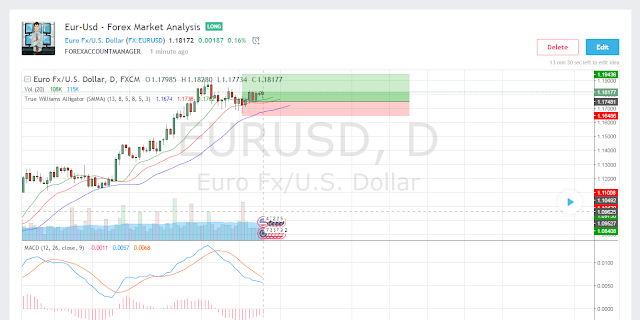 Eur-usd is overbought and there is a room to touch 1.2 area but be careful if yellen talk about to increase the interest rate on December then it will make usd strong and then usd will get investors focus.